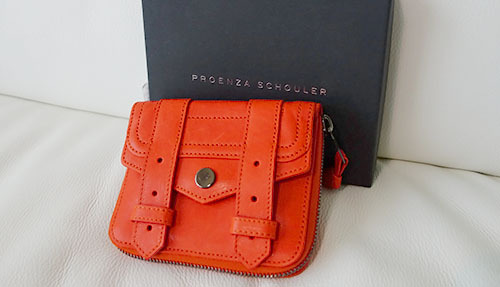 PROENZA SCHOULER POUCH & WALLET | Beverly's Net: family. food. fashion. PROENZA SCHOULER POUCH & WALLET – Beverly's Net: family. food. fashion. So when we were in New York, I squeezed in a bit of shopping here and there 😉 Hellooooo we are in the shopping capital in the world, what else do you expect?? I popped into the Proenza Schouler boutique.. one of my favourite brands. I adore my PS1 satchel, but I just don’t use it anymore because it only worked for me when I was working. It was chic enough to be an office ‘briefcase’, but soft and slouchy enough to still be cool and casual. Since then, I prefer small bags and preferably cross-body, because I often need to throw a bag on over my shoulder in a split second to pick up a kid, or collapse a stroller, or whatever. 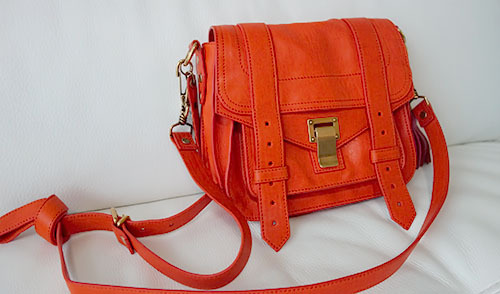 So, the PS1 satchel is completely impractical for me (probably going to sell it off) and this one caught my eye….. I absolutely LOVED the colour once I spotted it on the shelf in the boutique! 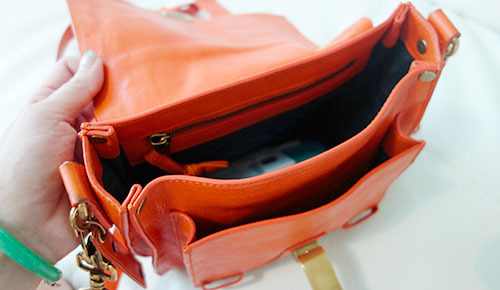 Tried it on, and decided the colour was absolutely “me” – I adore vibrant, bright colours.. and despite being an ‘out there’ colour, I use it as an every day bag. Figure it’s a statement colour so I don’t bother matching it up. 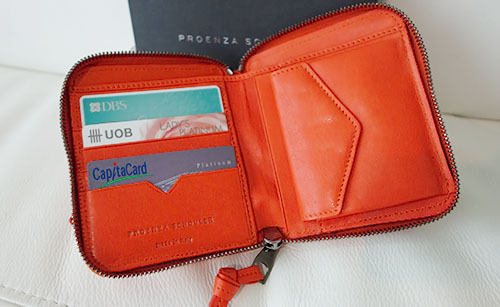 The pouch is a lovely soft leather, and the colour is really rich and saturated. 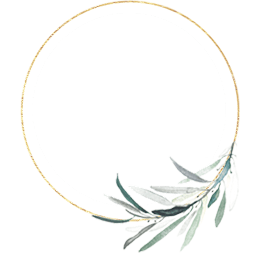 It’s practical and……… HAVE YOU SEEN THE INSIDE?? It’s in the exact size I like. What is it with all these gigantic long wallets these days?? They aren’t wallets, they’re full on bags!! So big, so long, than you need a giant bag to carry it in… Not to mention, they’re always super heavy. 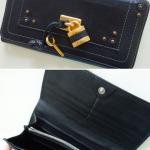 And then if you want a small wallet, you end up with this tiny coin pouch thing which is impractical too. And for some odd reason, it’s hard to find a medium sized wallet? So I was really pleased to discover this one suited my needs.. plus it went all matchy-match with my bag 😉 Excellent. This ring is special to me because Hunter spotted it and went “This one, Mama. 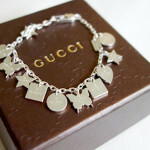 Pretty.” How could I resist? LOL, hunter’s got great taste, his future lass is going to be very happy. 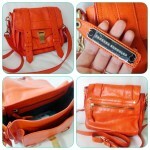 I just love bright orange.. it goes with everything IMHO cos it’s such a mad colour, haha!